You may have noticed your Contact section collects a lot of information about your form submitters. 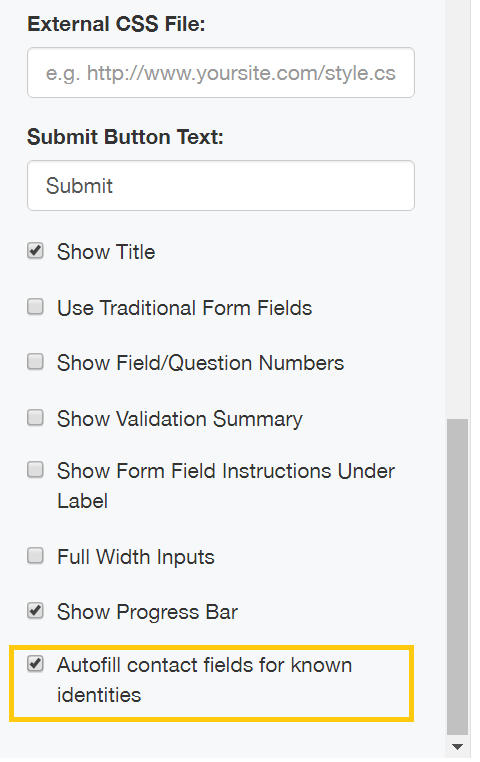 Now you can use this information to autofill fields on your form. For example, if you consistently make use of long forms for white paper downloads, applications etc. you can make the process much simpler for your users by auto-inputting known information into the form. Enter your form and go into the Design menu. Scroll down and check the box which says "Autofill contact fields for known identities"
This will ensure that any known information will already appear on the form once the person starts filling it out.